Quite frankly, I'm amazed it's taken me this long to use a Lush lip balm. I am obsessed with lip balms. 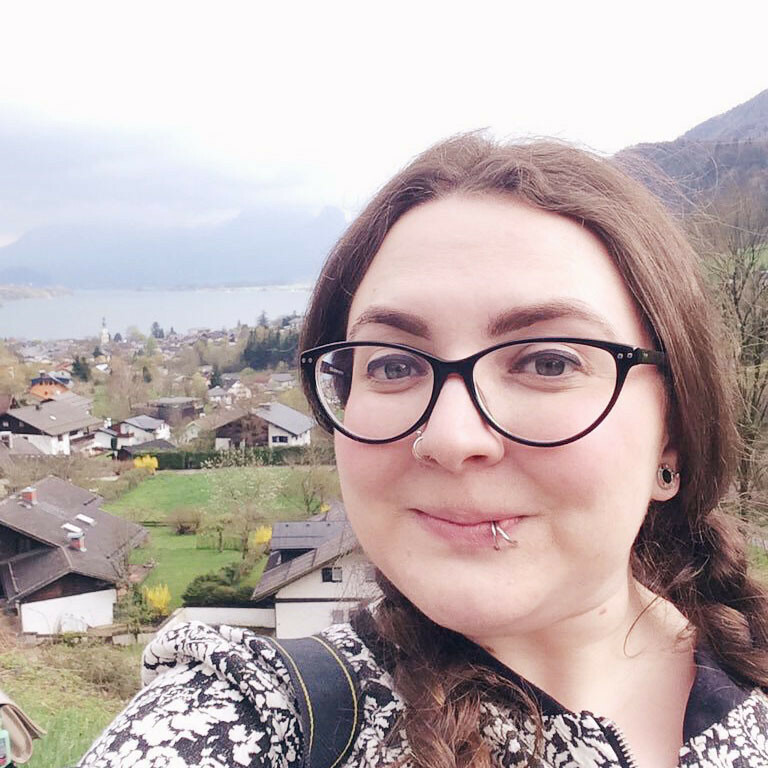 When my dermatillomania was really bad, chapped lips were dangerous, so I always have a lip balm nearby. For some reason, however, I just didn't venture into the world of Lush lip balms. That is, until the January sales, when I found Lip Service inside a gift set I snapped up and my life was changed (well, possibly not changed but still...)! Eh, I'm not a fan of the packaging. It's a teeny tiny little tin and it is so fiddly to open! When your hands are cold, as they often are when you're in most need of lip balm, it's damn near impossible to break into. Having said that, however, it is pretty much indestructible so swings and roundabouts! 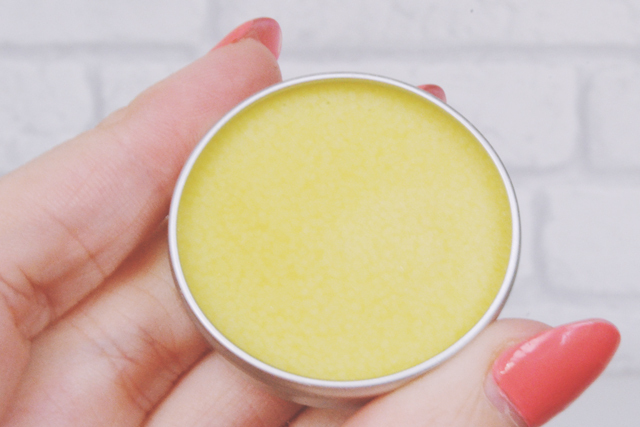 The lip balm itself is made of shea butter, cocoa butter and beeswax which gives a really smooth, moisturising texture. It's quite firm, so requires some pressure in order to get the product out of the tin and smooth it on the lips, but this prevents it becoming greasy. Once on the lips it feels almost creamy, but does also have the feeling of sitting on the lips, rather than being quickly absorbed. Good lord, it tastes amazing! The cocoa butter has chocolate notes, of course, but the addition of tangerine oil blends with it to create a chocolate orange scent and flavour. Being a natural product, it's a little bitter at first but the overwhelming citrus cocoa is just too good to care! 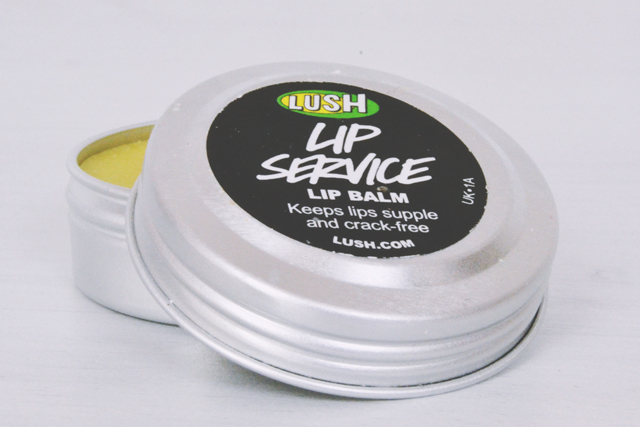 Although Lip Service does take longer than usual to be absorbed, once done it leaves my lips incredibly moisturised. They feel plumper and smoother, and just generally more healthy. It has been a lifesaver over the late winter months and moving into spring. Plus, it only takes a very small amount of product to cover the lips, so it will last for ages! I just hope I don't lose the tiny tin before next winter! You had me at chocolate.. sold! I just tried this and OMG! It's changed my life haha. SO easy! I used this product all the time before I turned vegan, it is so good and it makes your lips feel amazing!